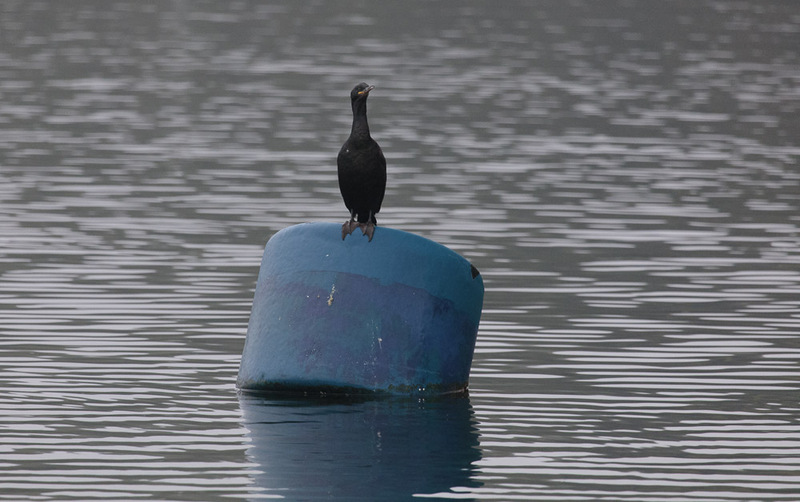 We awoke to another grey day but as we left Tobermory marina, this shag was sitting on a buoy and a heron was fishing in the distance. 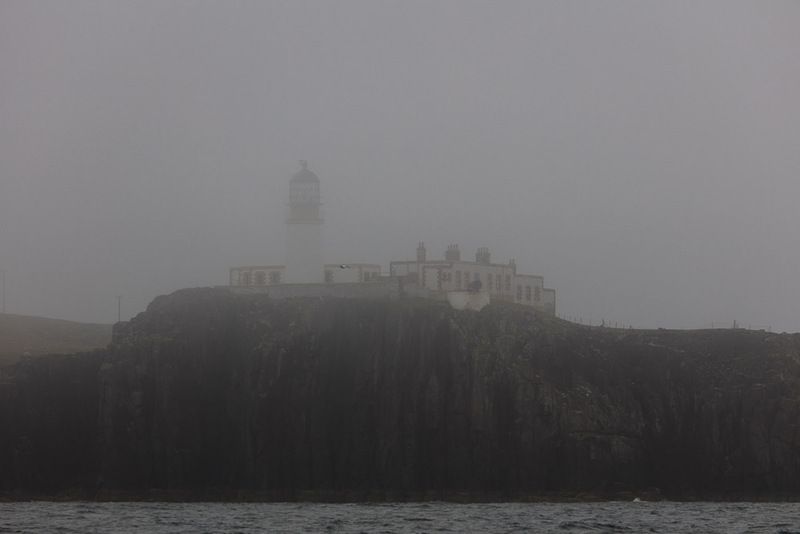 Our boat passed Ardnamurchan Point and the lighthouse. We spent our honeymoon on the peninsula, but all our photographs got lost in the processing. Approaching Canna; Rum. 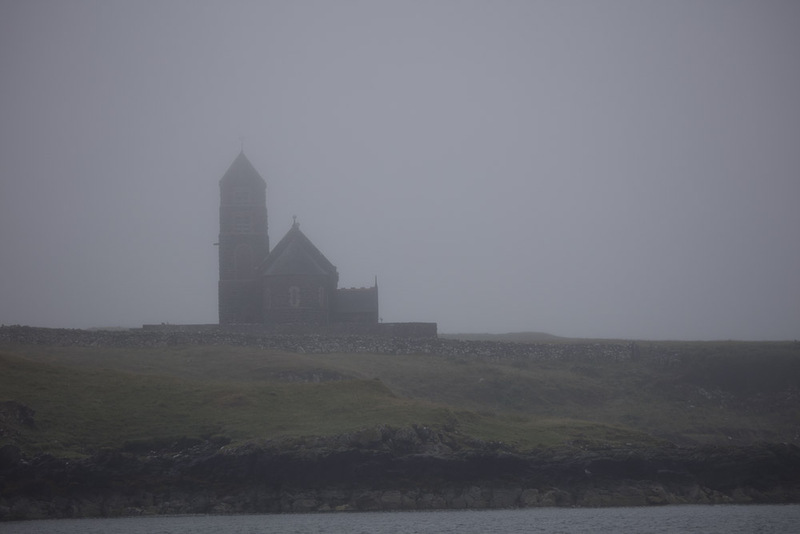 Eigg and Muck were shrouded in the mist. There was a fleeting glimpse of a porpoise and several gannets diving. 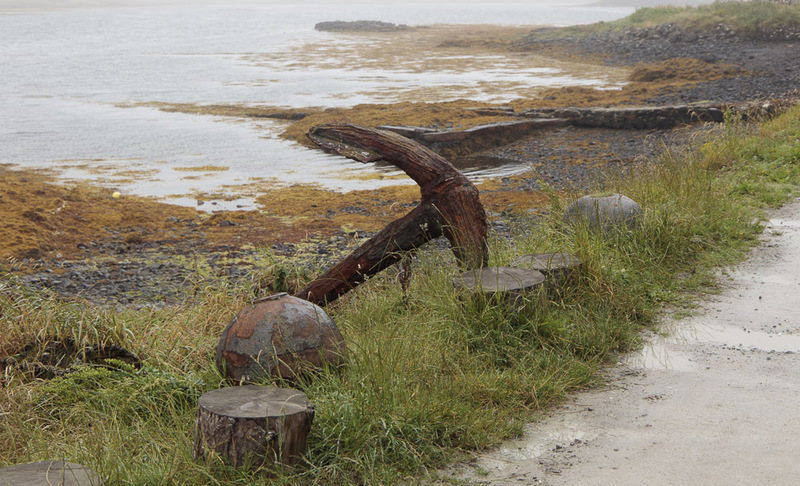 We arrived in the bay passing a rock with seals and entered the harbour of Canna. 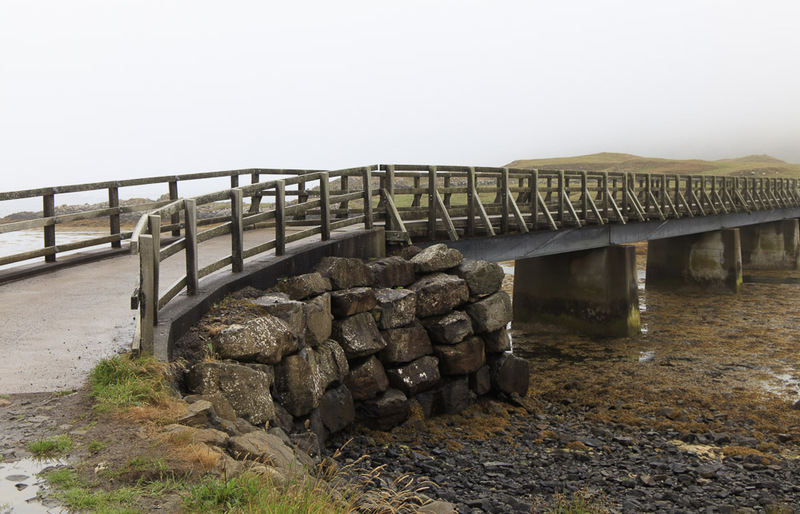 It is one of the Small Isles and is linked to the neighbouring island of Sanday at low tide by a bridge. 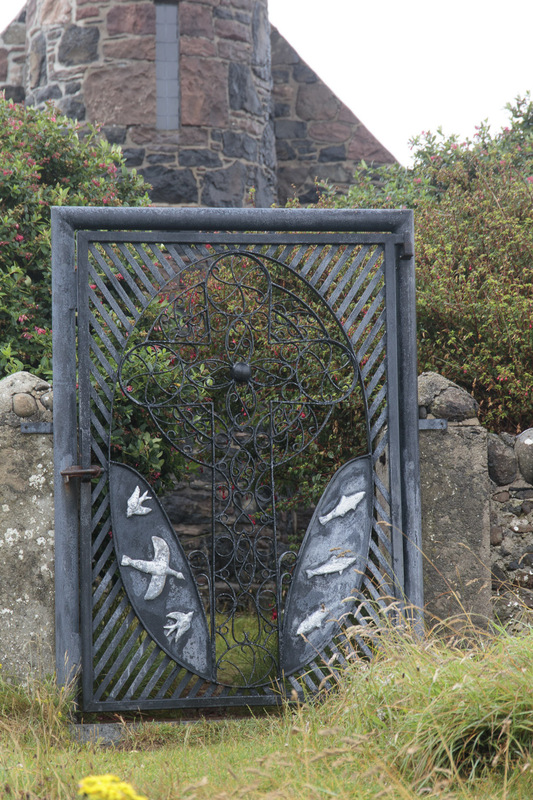 Archaeological evidence suggests that Canna was settled before St Columba (or Colum Cille) is said to have visited the island during his exile in Scotland from AD 563-567 (though this is disputed by some). The original chapel was named after him as is the current one. 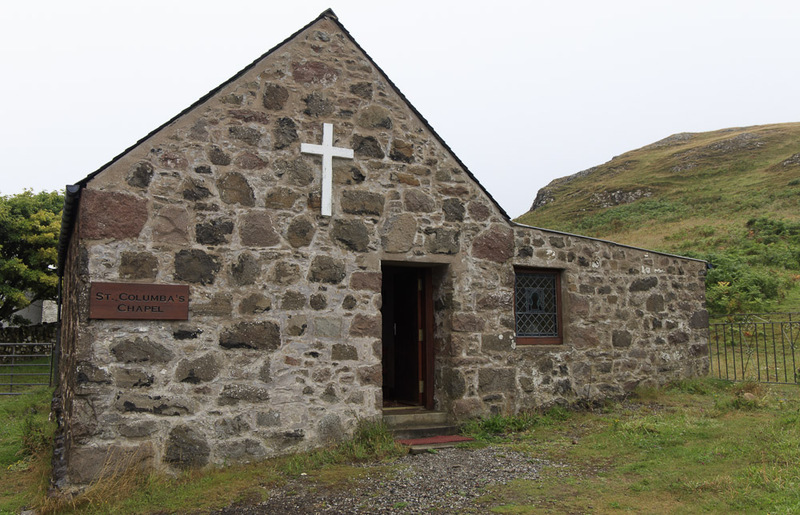 and a the small Church of Scotland is now on Canna, completed in 1914. 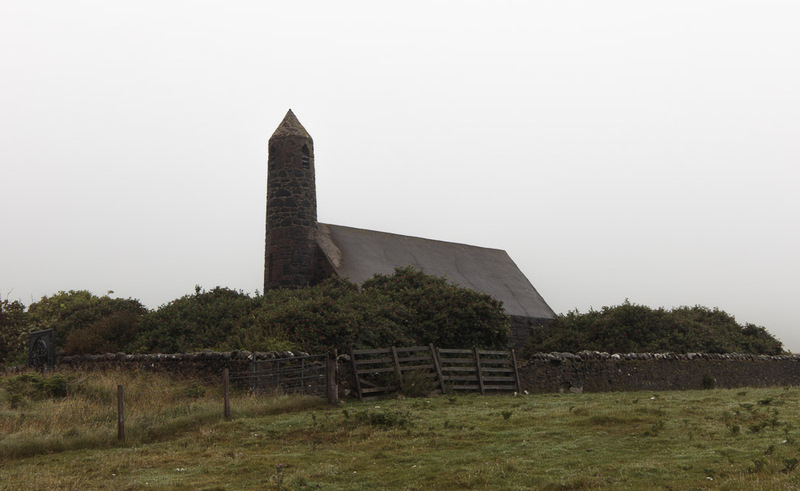 The shape of it’s tower has lead to it being called the ‘rocket church’. 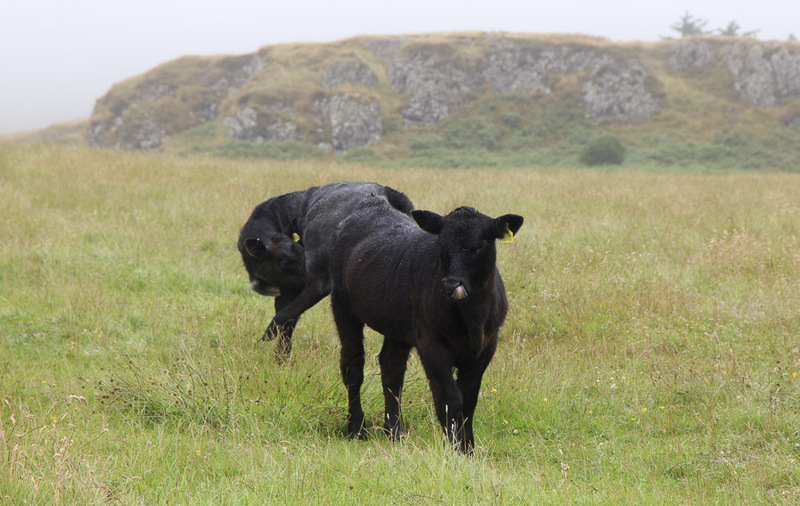 In 1889, counties were formally created in Scotland, on shrieval boundaries, by a Local Government Act; Canna became part of the new county of Argyll. However, the Act established a boundary review, which decided, in 1891, to move Canna to the county of Inverness, where Eigg was already. 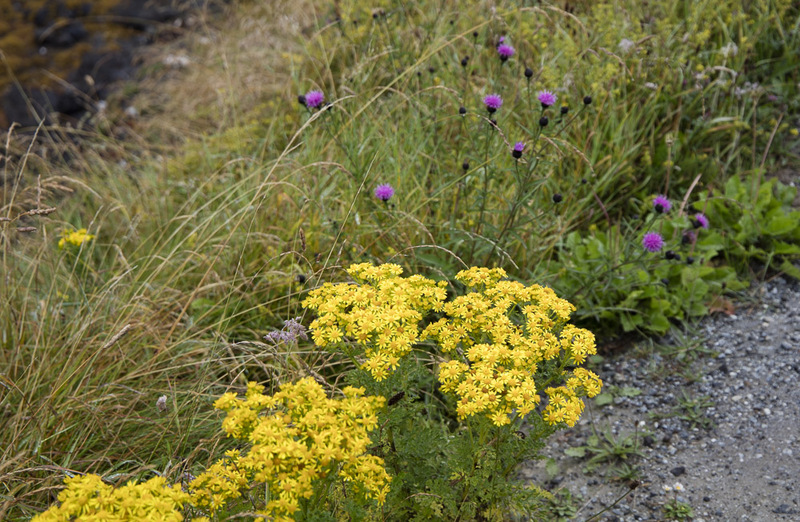 In 1938, Thom’s family sold Canna to John Lorne Campbell, who organised the island as a farm and nature reserve. 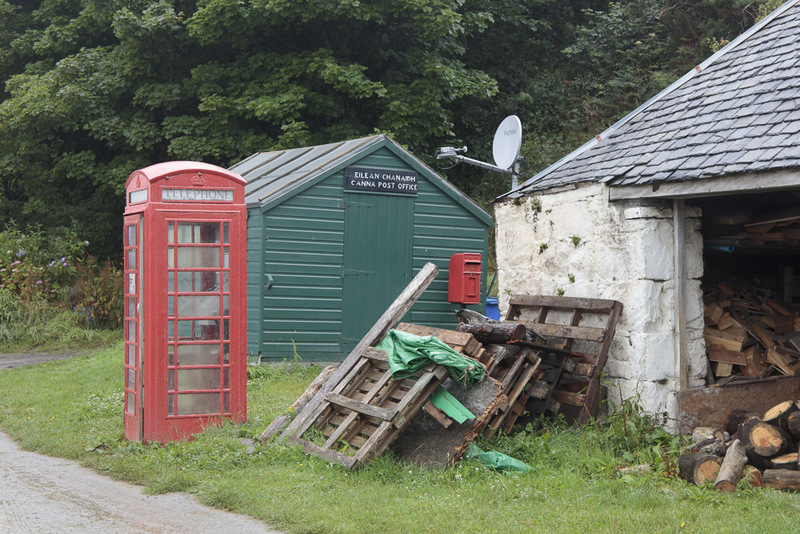 Campbell lived there until his death in 1996, but donated the island to the National Trust for Scotland in 1981. In the 1970s, local government reforms abolished counties and moved Canna into Highland Region. There was only a short time to wander along the Shore Road as far as the bridge and no time to climb the hill for a wider view. In the afternoon we had to be back on the boat to cross the Minch and anchor in the Sound of Harris. Leaving the harbour, we noticed graffiti on the cliffs. This used to be boat names but more recently has been added to by day trippers. Later, we passed the Duirinish Peninsula on Skye with the Neist Lighthouse. The Minch was not too rough and we were soon in the shelter of the Sound of Harris where the water was calmer. 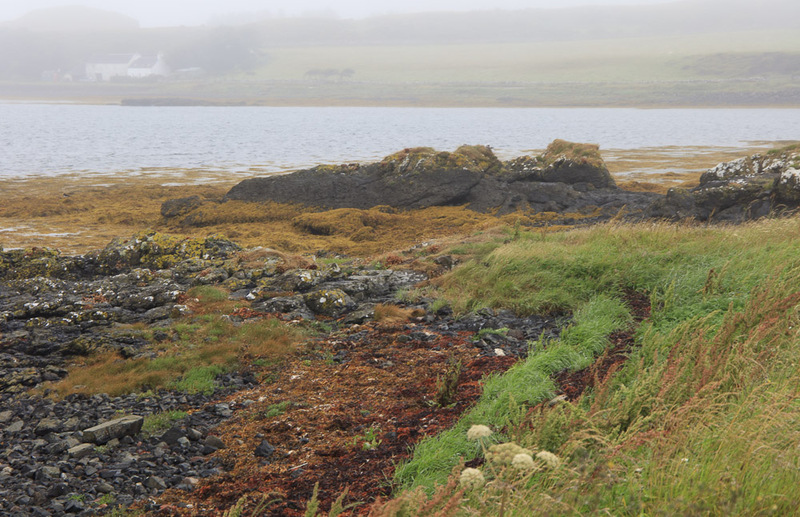 There are several small islands there and rocks with cormorants and shags. A seal popped up several times while we were having our evening meal and another was posturing on a rock nearby. We had an early night as the next morning would be an early start.